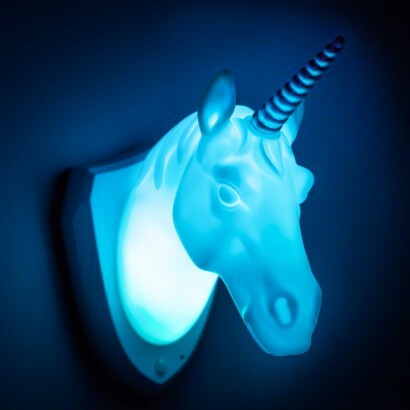 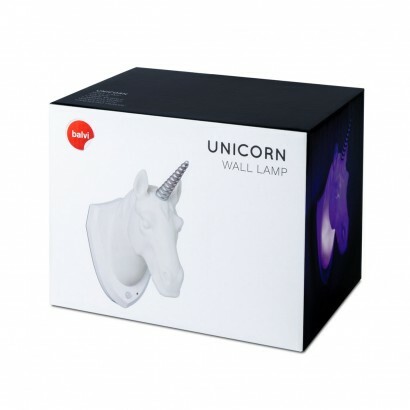 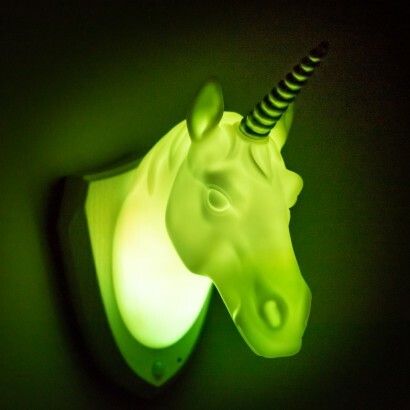 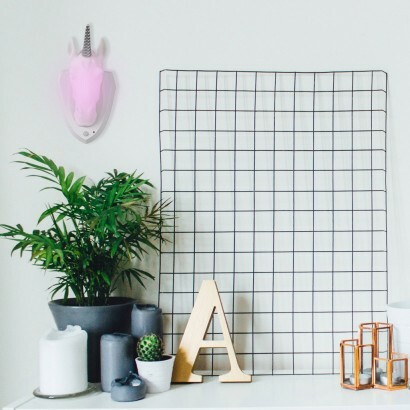 A noble and mythical steed shining like a beacon in your living space, this enchanting unicorn wall light is the perfect way to add a splash of colour and a touch of magic to your room. 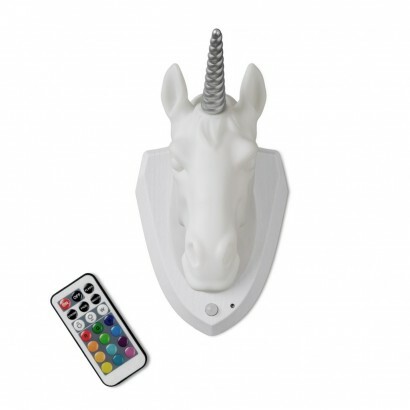 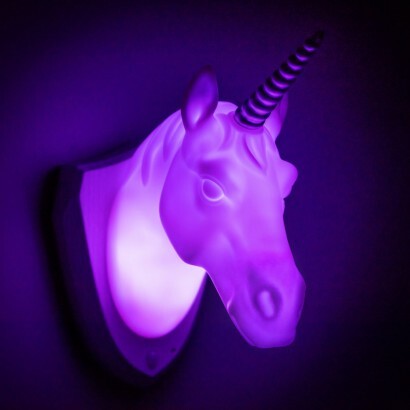 Packed with colour change LEDs, this captivating mood light has twelve static colour settings and a colour change function so that you can set the unicorn to shine with a colour and effect to suit your mood. 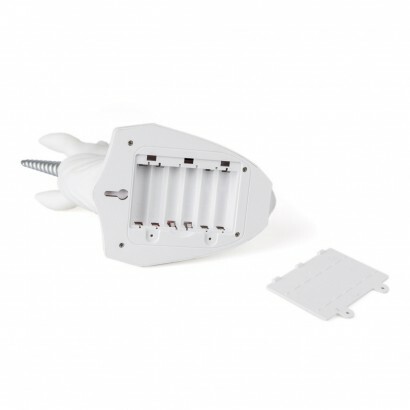 With a white light motion sensor night light function too, this versatile wall light is perfect for kids rooms, or for adding a touch of eccentric charm to your living space.